This book has an interesting take on the afterlife. After death, in an incorporeal state, beings wait to be reincarnated. As they wait, they act as soul watchers. A soul watcher will choose one person on Earth to help. Soul-watcher Soledad, returning to the afterlife after committing suicide, chooses Ally, a relative from her most recent life, to aid. Ally is my favorite character. As the one, able-bodied individual in her small family, many duties fall to her. Though exhausted and frustrated at times, she loves her family and strives to do everything possible to keep them safe and happy. Ally is a middle child. Her older sister, Jessica, is an intransigent, forty-year-old, type one diabetic in need of a kidney. Ally’s sweet, younger sister, Alyssa, was born with special needs and requires twenty-four-hour supervision. Their mother’s heart problems prevent her from performing many activities. Ally is an animal-loving artist who loves riding motorcycles. I think that, since she has many responsibilities, she needs that freedom to fly—be it on the canvas or the road. Though confident in other areas of her life, after her divorce, she finds herself gun-shy around men. As Soledad spiritually guides Ally, we learn about both women, their goals, desires, mistakes—and come to care deeply for them. The secondary characters are written with equal care and detail. 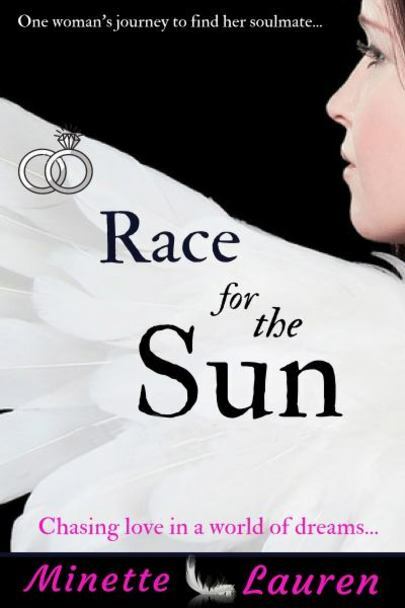 Race for the Sun is a life-affirming journey. 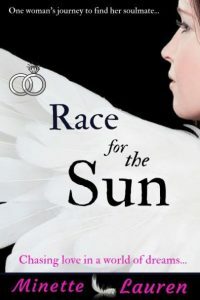 The author packs an emotional punch in her writing. I cannot recommend this book enough.